The controversy regarding Ecuadorian President Rafael Correa’s decision to grant asylum to Wikileaks founder Julian Assange earlier this morning is growing at a rapid pace. 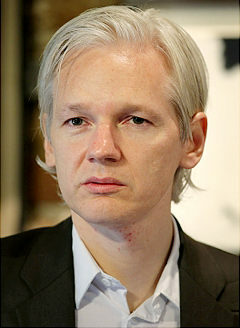 According to The Guardian, Assange “took refuge in the embassy to avoid extradition to Sweden, where he is wanted for questioning over allegations of sexual misconduct.” Ecuadorian officials are also concerned that Assange could be extradited from Sweden to the US, where many believe he has already been secretly indicted and could face the death penalty for releasing classified US war logs and other secret information. As the Guardian reports, “Correa and [Ecuadorian foreign minister] Patiño have both said that Ecuador will take a sovereign decision regarding Assange. They say they are seeking to protect Assange’s right to life and freedom.” The actions of the Ecuadorian embassy have caused the outrage of the British government, however. Reports the Huffington Post, “Patino said Britain had earlier in the day issued ‘a written threat that it could assault our embassy’ if Assange is not handed over.” In addition, the British government has said that, once asylum is given, they will arrest Assange the moment he steps outside the embassy. Though nothing is final as of now, the story is something to pay close attention to, as new developments are happening every minute. Click here for live coverage from The Guardian. On Assange’s defense team are ALBA honorary board member Michael Ratner and Baltasar Garzón, winner of the 2011 ALBA/Puffin Award for Human Rights Activism. Previous Volunteer coverage here.